This rugged steel receptacle is highly functional and designed to enhance the scenery of city streets, in parks, eating areas and retail locations. 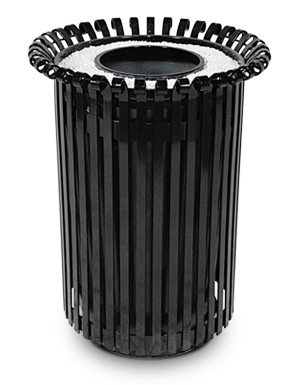 It can be ordered with or without an ash urn and comes with a black rigid plastic liner. Available in the colors shown below. Ships fully assembled.